An order to develop a heavy assault gun by mating the 88mm Pak L/71 gun to a Panther chassis was given on 2 October 1942, and a wooden mock-up was completed by October 1943. Hitler saw the prototype on 16 December 1943, and production began in January 1944. The upper hull plates and side plates of the standard Panther chassis were extended to create the fighting compartment. The 88mm Pak 43/3 gun was installed in a gun mount in the sloping front plate (early production vehicles had the gun mount welded to the superstructure front plate). Later production models had a gun mount which was protruded and was bolted in place. Defence against enemy infantry was provided by a Hahverteidigungsgerät (close-defence weapon) mounted in the superstructure roof, plus a machine gun in a hull mount in the superstructure front. 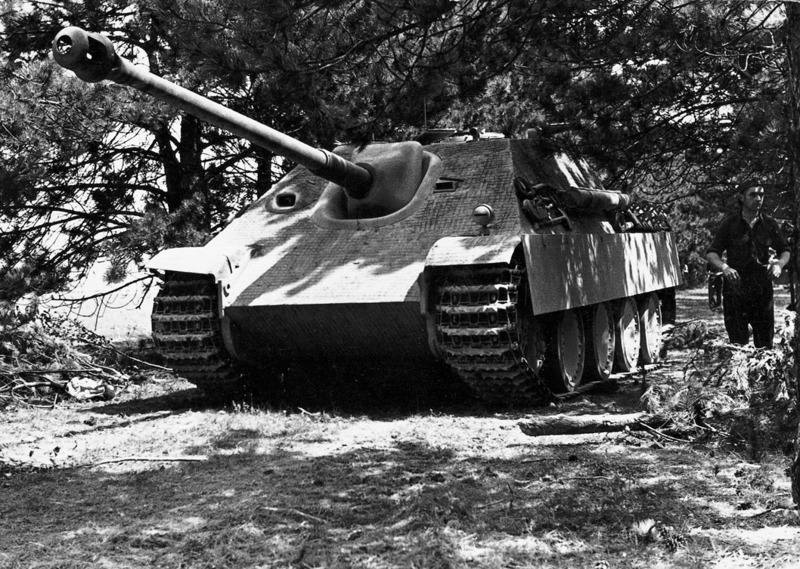 The Jagdpanther was one of the finest tank destroyers of the war. The first vehicles were issued to the 559th and 654th Anti-Tank Battalions, though only the 654th received the full complement of 42 vehicles. The largest assembly of Jagdpanthers in the war took place during the Ardennes Offensive in December 1944. Thereafter they were also issued to the tank detachments of at least seven panzer divisions. In total, 392 were produced between January 1944 and March 1945.